I just read some really exciting news, you guys! You remember last week's Top Ten Tuesday where I listed ten book I'd love to see as a movie? Well, I had Half-blood and the Covenant series by Jennifer L. Armentrout on that list and guess what?! It's being picked up as a TV-series! We don't get just two hours of awesome material but an entire season! Hopefully at least, the details aren't worked out yet and you never know what might happen along the way, but I'm counting on a full season, and then another, and another. Beautiful Disaster, Jamie McGuire, ??? Hush, Hush, Becca Fitzpatrick, ??? 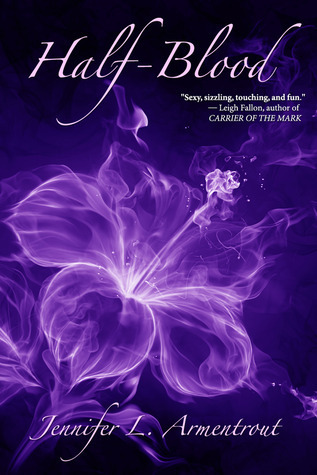 Obsidian, Jennifer L. Armentrout, ??? The Mortal Instruments: City of Ashes, Cassandra Clare, ??? Daughter of Smoke and Bone, Laini Taylor, ??? Shadow and Bone, Leigh Bardugo, ??? The Statistical Probability of Love at first Sight, Jennifer E. Smith, ??? The D.U.F.F, Kody Keplinger, ??? Blood Red Road, Moira young, ??? Heist Society, Ally Carter, ??? The Infernal Devices: Clockwork Angel, Cassandra Clare, ??? 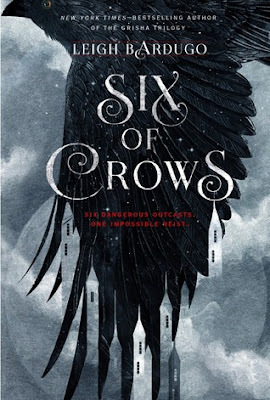 The Raven Boys, Maggie Stiefvater, ??? I'd Tell You but Then I'd Have to Kill You, Ally Carter, ??? Wicked Lovely, Melissa Marr, ??? Please not that things change constantly and while the film rights have been sold it doesn't necessarily mean that it will make it all they way to the big screen. We cross our fingers though, these books are awesome! Know of another book making it for the screen or do know a release date for any of the listed movies? Name it in the comments and I'll add it to the list.